West Bengal govt. has launched Bangla Krishi Sech Yojana to provide assistance to farmers to setup micro irrigation facilities. This scheme will ensure that farmers can cultivate their land using less amount of water. The state govt. will provide necessary help to small and marginal farmers in areas which receives less rainfall. WB Bangla Krishi Sech Yojana will help farmers in Jangalmahal areas, Purulia & Bankura districts which receives lesser amount of rainfall. Micro-irrigation technology will ensure cultivation of crops, especially fruits & vegetables which utilizes less water. Agriculture Department of West Bengal had taken initiative and identified 2 artificial processes – drip irrigation and sprinkle irrigation for this purpose. Drip irrigation and Sprinkle irrigation are 2 important processes which will help in cultivation of more acres of land using less quantity of water. Various trials and tests proves that both these processes are helpful in cultivation of crops with lesser water consumption. CM Mamata Banerjee has received the proposal for this purpose which has now been approved in the cabinet on 12 September 2018. It is important to note that Small & Marginal Farmers can’t bear the cost of drip irrigation and sprinkle irrigation mechanisms. Drip Irrigation mechanism costs around Rs. 70,000 and Sprinkle Irrigation mechanism will cost around Rs. 20,000 per acre of land. Farmers will get these facilities absolutely free of cost. The state govt. has allocated around Rs. 35 crore for the project. 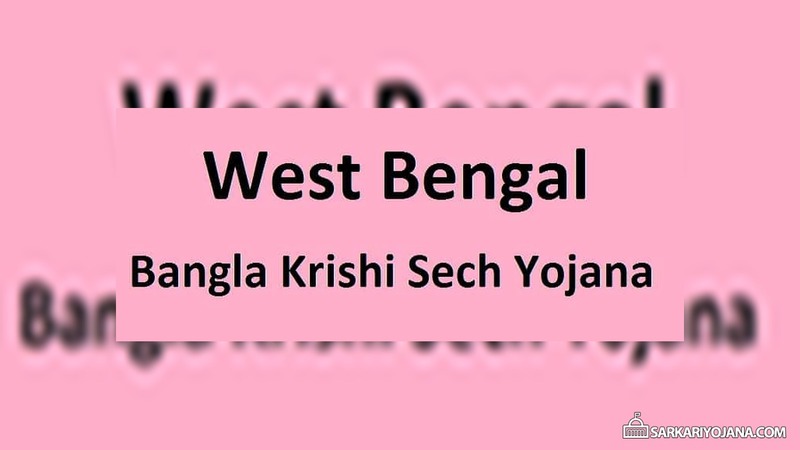 WB Bangla Krishi Sech Yojana is a continuous process and thus the amount could go up later with the success of this project. Several experts will be engaged for this purpose in order to provide support to the farmers to carry out this project. Experts will develop mechanisms for individual farmers and govt. will also provide necessary support to farmers. State govt. will make payment to experts after receiving feedback from farmers and proper scrutiny of the same. How can I apply kusum jojoba?